Description: Eclectic minimalism blends a modern look with twin traditional Edison bulbs. 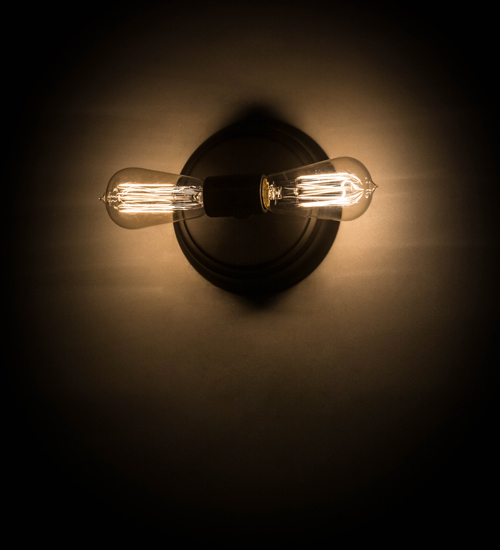 Two Customer supplied incandescent lamps serve as the illumination and design of this unique wall sconce that offers a popular urban chic look for homes, lounges, restaurants and other residential and commercial spaces. The hardware is finished in Oil Rubbed Bronze for a handsome look. Custom pendants, sconces and chandeliers are offered using the minimalist Alva design. This ADA Compliant wall sconce is UL and cUL listed for dry and damp locations.